René-Charles Angélil released two songs on Monday night. 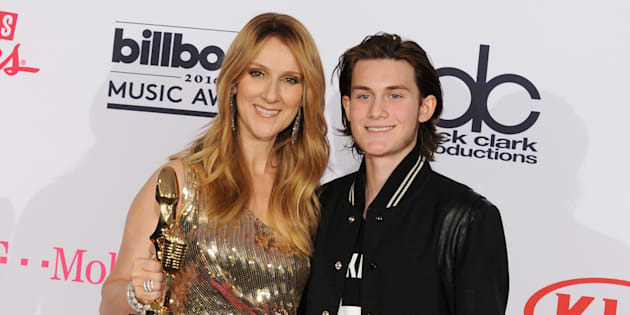 Céline Dion and son René-Charles Angélil pose at the 2016 Billboard Music Awards in Las Vegas. Looks like Céline Dion isn't the only talented musician in her family. René-Charles Angélil, Dion's eldest son, revealed his budding stardom on Monday night when he shared two songs on SoundCloud under the alias "Big Tip." 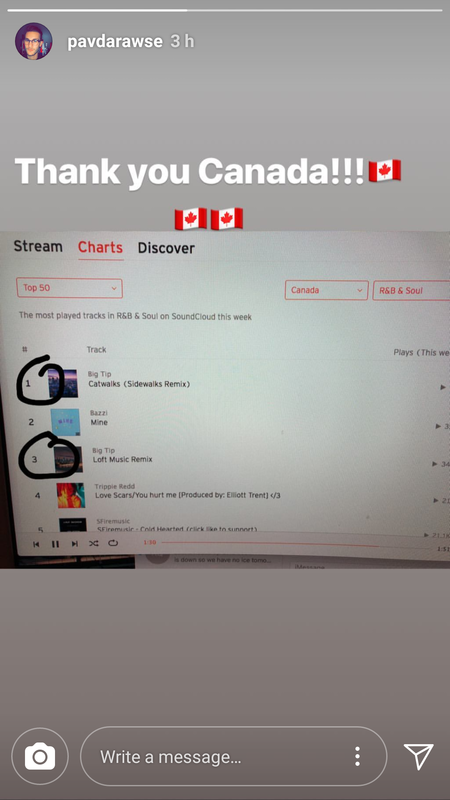 Both are covers of Canadian artist The Weeknd. "Catwalks (Sidewalks Remix)" is a take on "Sidewalks" from The Weeknd's 2016 "Starboy" album, while "Loft Music Remix" is a cover from the artist's 2011 album "House of Balloons," People magazine reports. The 17-year-old is quickly gaining popularity with his young, fresh sound. 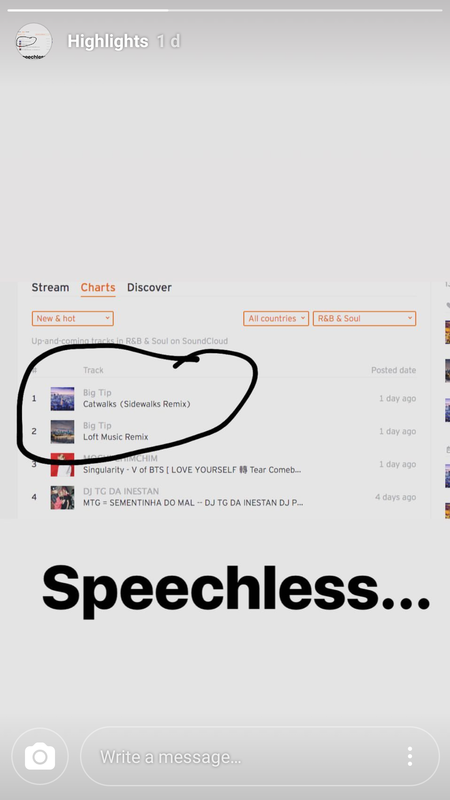 In just one day, both numbers reached the top two spots on the Hot & New chart for R&B & Soul on SoundCloud. Angélil shared his "speechless" reaction in an Instagram story. Both songs have also topped the site's Top 50 chart for R&B & Soul, with "Catwalks" sitting at No. 1 and "Loft Music" at No. 3. The tracks also feature original lyrics, The Canadian Press reports. Each song gives insight into the teen's life with his famous parents. "I ran out of tears when I was 16," Angélil sings in the opening of "Catwalk," which could be a reference to him coming to terms with his father René Angélil's death in 2016. In addition to his covers of The Weeknd, the teen also released a song called "Never Stop," which talks about moving to Las Vegas, where Dion has had a residency since 2003. "Move to the desert, sweeter than some dessert, fake homies that deserted me, I do not deserve," he sings. Although Dion's eldest son has always been known for his love of hockey, it turns out he's always had a penchant for music, too. In a 2013 interview with Access Hollywood, Dion revealed that her then-12-year-old son had encouraged her to collaborate with his favourite artist, Eminem, to give her music a cooler edge. "I'm not his favourite singer, for sure," the "Ashes" songstress admitted. "I'm his favourite mom, though. That's the main thing." Based on his Instagram page, it looks like Angélil is serious about being a singer and songwriter as he's now listed as an "artist" on his profile. The 17-year-old also first teased the production of "Catwalk" back in February, proving he's put time and effort behind his work. Better watch your crown, Céline!